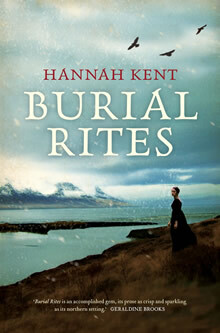 Three years after the publication of Burial Rites, I am very pleased to announce that my second novel, The Good People, will be published in Australia and New Zealand on 27 September 2016 (Picador), and in the United Kingdom and the Republic of Ireland on 9 February 2017 (Picador). The Good People will also be released in the US in 2017, date forthcoming (Little, Brown). Taking its inspiration from a true story, The Good People is set in County Kerry, Ireland, 1825. The Good People can now be pre-ordered at all good bookshops. To celebrate the launch of The Good People in Australia later this month, I will be participating in events and talks in bookstores and centres around the country, which are listed here on my events page. Please check in occasionally for new listings of festival appearances, talks and other events. Looking forward to seeing many of you in October!